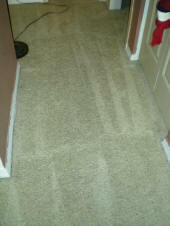 Schedule a carpet cleaning today and see the difference! Carpet Cleaning Scottsdale is a service of Green Planet Carpet Care. Along with providing high quality carpet cleaning in Scottsdale AZ and Paradise Valley AZ, we service the entire valley of the sun. 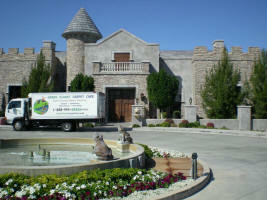 Our Scottsdale carpet cleaners use biodegradable eco-friendly organic natural cleaning solutions. We thoroughly clean the carpet fibers so your kids and pets can roll around on it without any fear of an irritating chemical exposure. We are Cleaner, Healthier, and Better! Green Planet Carpet Care knows that the residents of Scottsdale AZ and Paradise Valley AZ appreciate the best equipment being used to steam clean your carpets, tile, and upholstery. When we arrive in Scottsdale for your carpet cleaning or tile cleaning, we are noticed! We normally receive comments like "that’s professional", or “wow, you’re not the average carpet cleaner”. That is because we know that carpet cleaners and tile cleaners are judged by the impression they make upon arrival. But, being eco-friendly and having the best carpet and tile cleaning equipment are not the only reasons to hire our Scottsdale AZ carpet cleaning service. We Get Your Carpets Cleaner Guaranteed! All of our technicians are IICRC certified on cleaning procedures which are endorsed by the largest carpet mills and manufacturers. Our technicians are well-trained in avoiding the three most common causes of carpet damage: over-wetting, use of harsh cleaning detergents, and prolonged drying. The temperature of the water is paramount! Our Vortex cleaning machine delivers steaming hot water to your carpet at temperatures up to 260 degrees F. And the temperature of the cleaning water is critically important to the cleaning power: Did you know that the cleaning power of hot water increases by 100% for every 18 degrees above 118 degrees F? This means that our system at 260 degrees F cleans four times better than any van-mounted system using water at a temperature of 180 degrees F (Fahrenheit). Most cleaning companies using van-mounted equipment are not able (or willing) to deliver those temperatures because their machines frequently overheat and shut-down, causing them to waste time running back and forth to reset the equipment. Usually they just lower the temperature on purpose— which also insures they won't be sweating in a hot van on the way to their next job. The water in our cleaning machine is heated by the truck's diesel engine using a patented Xantherm heat exchanger process and is located in a physically separate compartment of our truck. That means we can run the absolute hottest temperatures all day long and still drive to our next job in the cool comfort of an air-conditioned cab! Powerful truck-mounted system - You will never achieve the same cleaning results from a portable carpet cleaning system plugged into a 110 VAC outlet in your home. Although many "budget" carpet cleaners use them, these systems are incapable of producing water hot enough and vacuum powerful enough to completely remove soils, stains and chemical residue. This is why a portable system costs less than $8,000 and our Vortex system costs more than 10 times as much. Bryan Phillips, the owner of Green Planet Carpet Care. There are different types of carpet cleaning methods that are commonly used in the Scottsdale AZ, North Scottsdale, and Paradise Valley Arizona areas. The three most common are Hot Water Extraction or Steam Cleaning, Encapsulation, and Shampoo. Steam cleaning is the only method approved by the major carpet manufacturers and, when properly done, steam cleaning will leave virtually zero residue in your carpets. Understanding how these different methods clean carpet will help you to make a more informed decision on who should be cleaning you carpets. Please refer to our "Carpet Cleaning Methods" page for complete details about the different carpet cleaning methods commonly used to clean carpets in the Scottsdale area. Pet odor and pet stains can be difficult to remove from carpets and upholstery. Simply cleaning your carpet with a machine from the grocery store or having a budget carpet cleaning service attempt to clean the contamination will not work. Grocery store machines and low cost carpet cleaning companies do not have enough suction which leaves the carpet too wet. 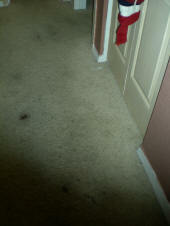 This causes the pet stain to wick back up from the carpet padding. The temperature of the steam used for the hot water extraction is also important. If the there is not enough heat the cleaning agents will not properly activate. Please refer to our pet odor removal and pet stain removal page to learn more why Green Planet Carpet Care's Scottsdale carpet cleaning service is the best choice for Scottsdale residents. Schedule a Scottsdale, Arizona carpet cleaning appointment with Green Planet Carpet Care today and see the difference! 85250, 85251, 85252, 85253, 85254, 85255, 85256, 85257, 85258, 85259, 85260, 85261, 85262, 85263, 85264, 85266, 85267, 85268, 85269, 85271. We also provide Green, eco-friendly carpet cleaning, upholstery cleaning, & tile cleaning in Paradise Valley & the Entire Phoenix, Arizona area.